We are so excites about this awesome event. 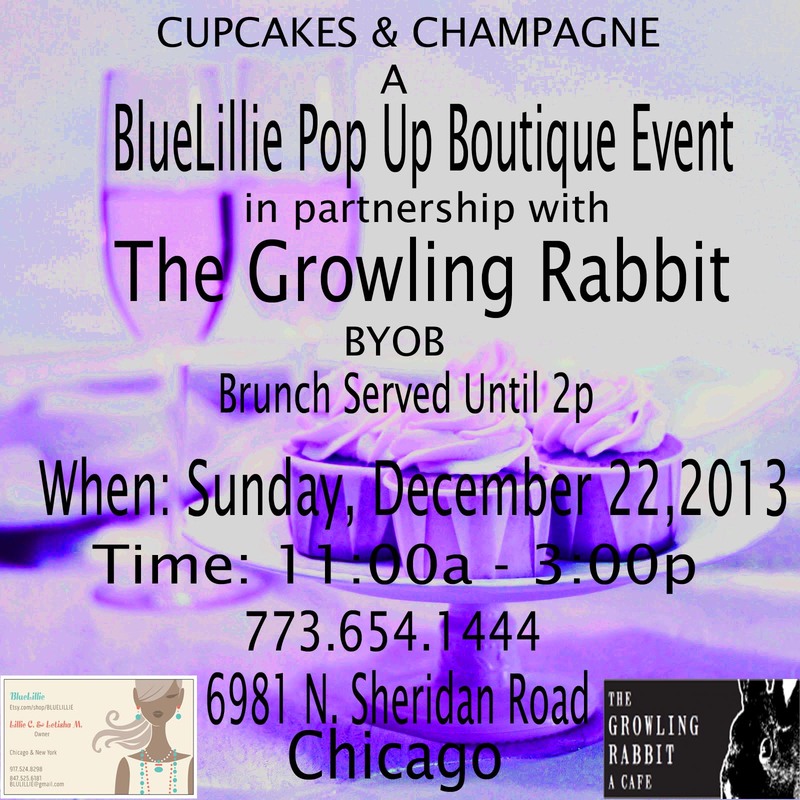 BlueLillie is partnering with The Growling Rabbit, and featuring works from Something EXposed photography. This event is going to be so much fun, I can’t wait. There’s going to be a silent auction as well as a raffle featuring items from BlueLillie and Something EXposed! There will also be sweet treats!! The Growling Rabbit is in the heart of Rogers Park, the bustling artistic serves as a great backdrop to have such a warm event right before the last leg of this holiday season. This is great for those that may still need to grab a last-minute gift and for that special someone or maybe for yourself, either way you should definitely swing by. This is a BYOB – MIMOSAS anyone? !